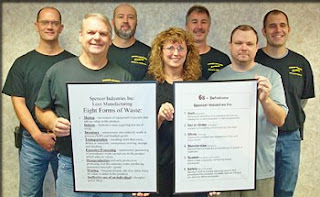 We strive to continuously improve our processes, product, and working environment at Spencer Industries. We are implementing a 6s system as a way of improving organization and management of the workspace, efficiency by eliminating waste, the process flow, our overall working environment, and our safety program. Our safety team is leading this effort through out our facility.